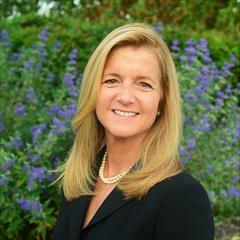 I am a 1985 graduate of Villanova University and have been a full time licensed Realtor since 1994. I take great pride in providing my clients with excellent market knowledge, honest advice, and superior customer service. I specialize in residential home sales in the Southern Chester County and New Castle County areas and am dually licensed in Pennsylvania and Delaware. I am a member of the Suburban West Realtors Association, the Pennsylvania Association of Realtors, and the National Association of Realtors. I have lived in New London Township with my husband and children since 1993 and I consider it an honor and privilege to service my clients and their families. Recipient of the 2012-2018 Philadelphia Magazine "Five Star Real Estate Agent Award"
We had 77 showings on our house in 4 months, and ultimately we received competing offers on our house. We are certain that Shannon's experience is what brought us those offers. Shannon's many years of real estate experience were exactly what we needed. Shannon was always upbeat and would continuously find creative ways to market our house. We appreciated that she would deal with all the small details and we didn't need to get involved in the minor issues which freed us up to concentrate on our relocation. 1.) Great communication so we always knew what was going on. 2.) Advice based on honesty, past experiences, and research specially related to our house and area. 3.) You were a highly motivated and always had time to address issues and questions. Thank you so much for making yourself so available to us throughout both transitions. We truly appreciate your guidance thru the numerous obstacles we faced while juggling two real estate transactions at once. "The hours you have spent trying to sell my house goes WAY beyond a realtors’ job. We started this process back in October of 2012, over a year ago! You never gave up! Ever!! Not when we lost the first buyer or when we lost the second buyer. You just found a third buyer. Then they scheduled the sheriff sale. Did that stop you? No! role. Making sure everyone else was doing their part and giving the same 110%."